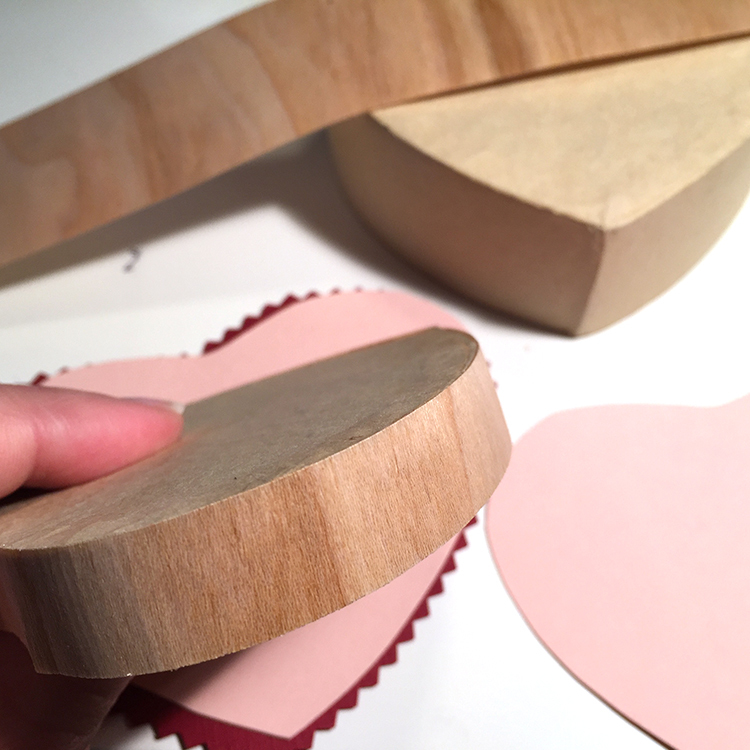 Handmade Valentines are made with so much love! 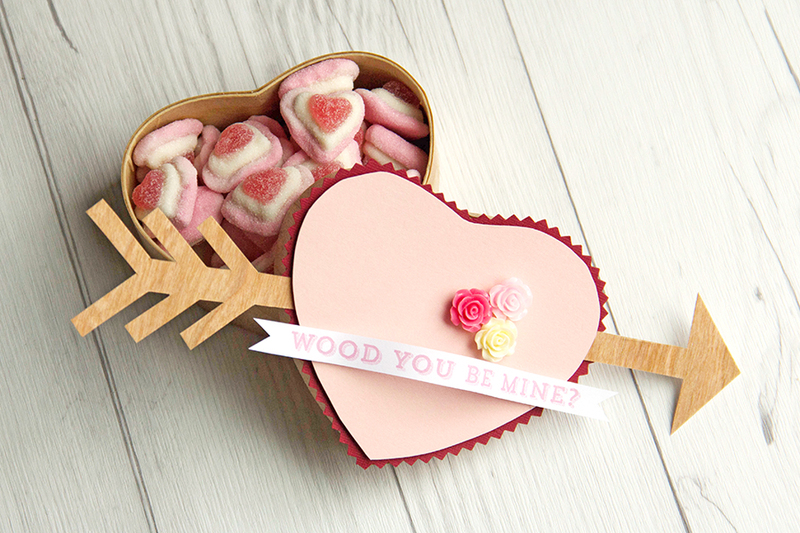 We packed this little wood heart box full of love and candy. Sweet! 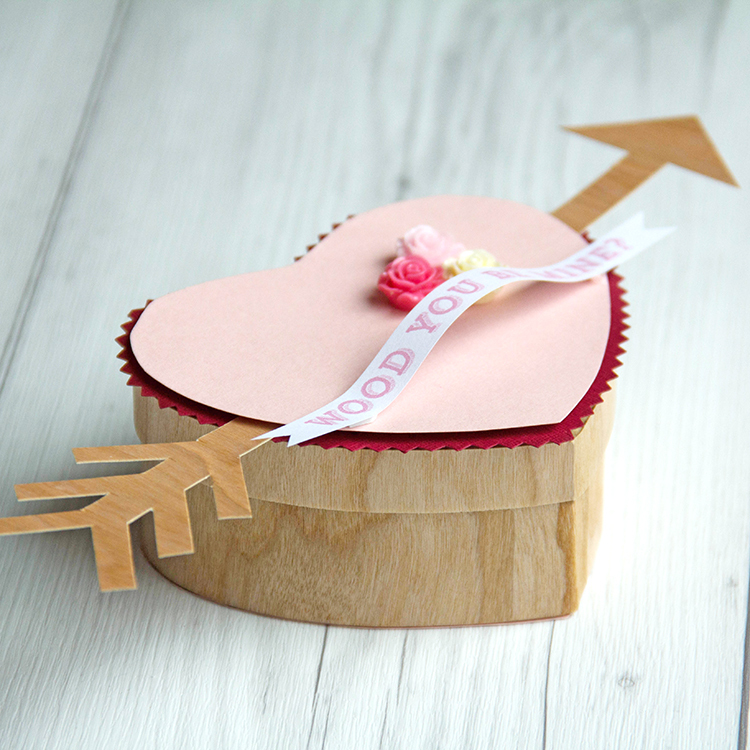 This little wood Valentine Box was made using our Cherry Wood paper and a few basic crafting supplies. See DIY steps below. 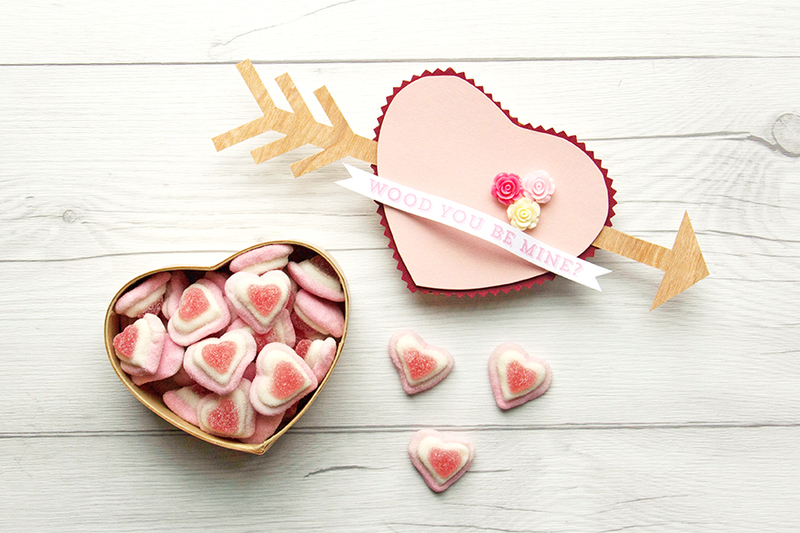 1 Sheet of 12″ x 12″ Cherry Wood Paper, 1 Sheet of 8.5″ x 11″ Cherry Wood paper, chipboard heart shaped box, pink card stock, red card stock, white paper, glue, rose embellishments, shape scissors, scissors, printer and this Arrows print file. 1. 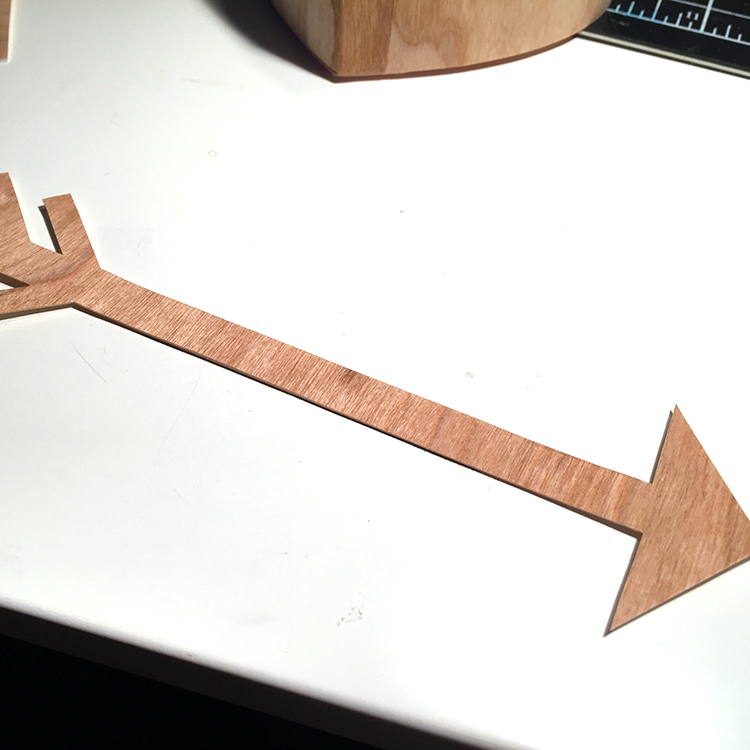 Print the arrow artwork onto a sheet of Cherry Wood paper and cut out arrow. Set aside for later. 2. Print the phrase “Wood You Be Mine” onto a sheet of white paper. Cut out in banner shape. See example. 3. 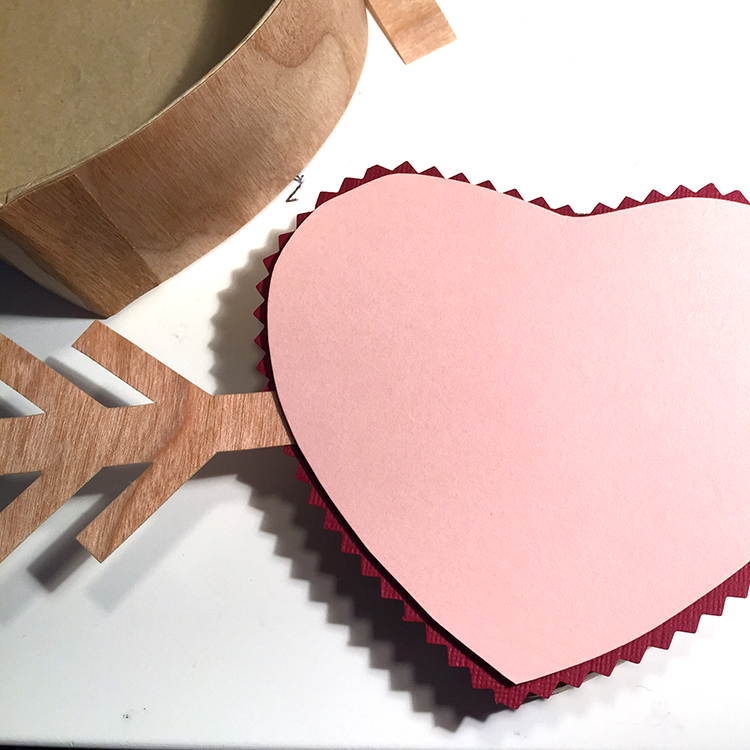 Trace 2 hearts onto pink card stock using the top of the chipboard heart box as a template. Adhere one heart to bottom of box. 4. 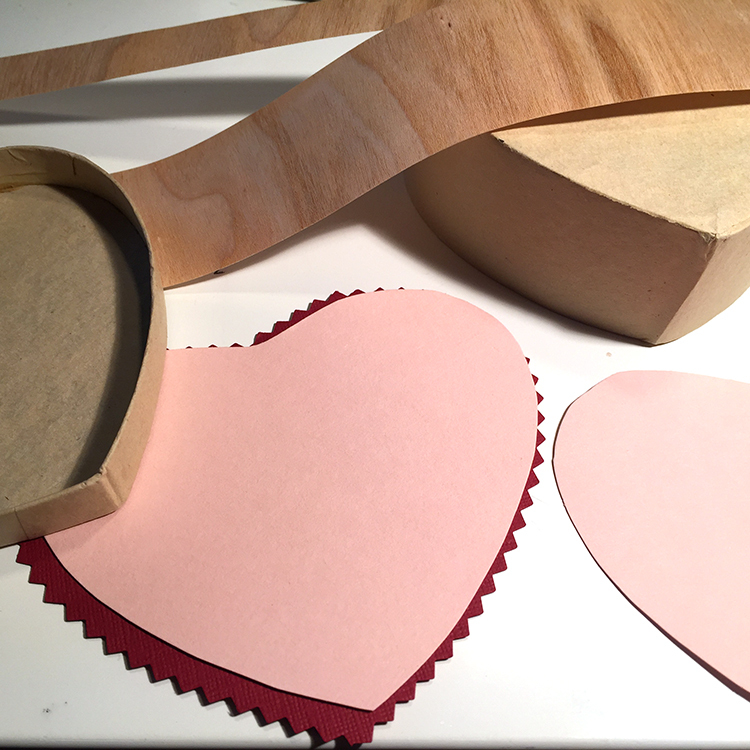 Lay the pink heart onto a piece of red card stock and trim out a slightly larger red heart with a pair of shape scissors. We used pinking scissors. 5. Measure the height of your box and your lid. Our box height is 2″ and our lid height measures 1/2″. Cut Cherry Wood paper to 2″ x 12″ and 1/2″ x 12″. 6. Remove adhesive liner from back of Cherry Wood paper. 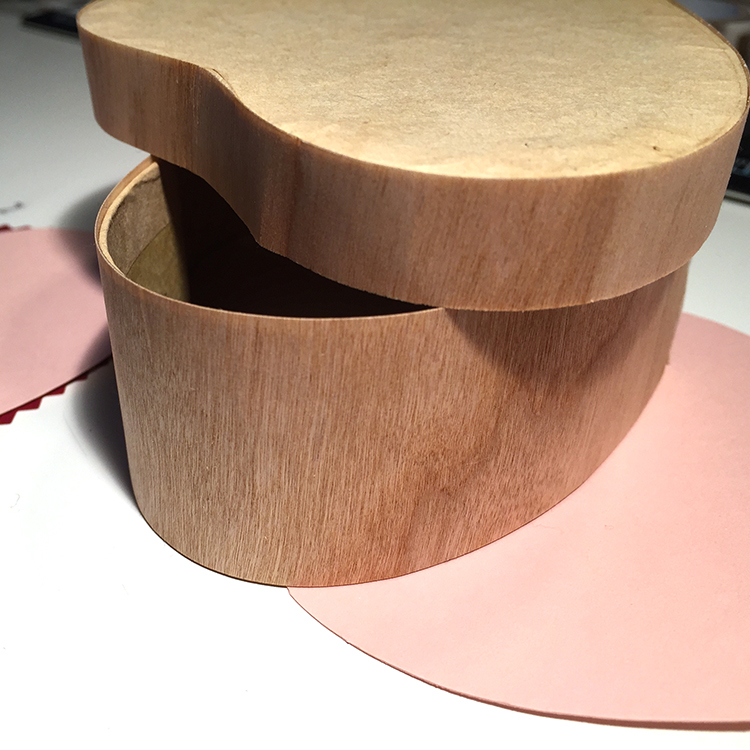 Adhere Cherry Wood paper around the diameter of the box bottom and lid. 7. Adhere red heart to box top. 8. Adhere arrow to top of red heart. 9. Adhere pink heart to top of red heart and arrow, creating a sandwich. 10. 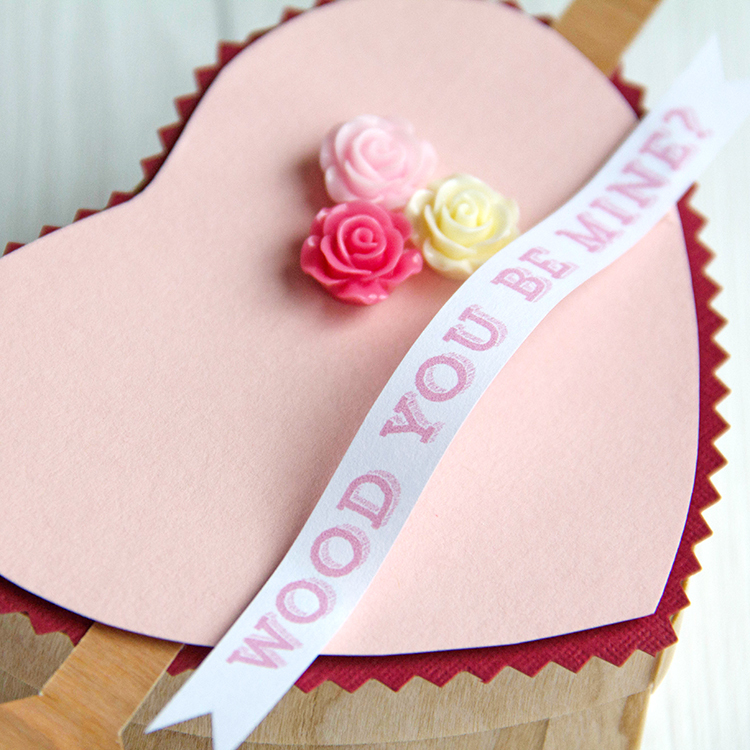 Dress up the box top with rose embellishments and the “Wood You Be Mine” banner. 11. Fill box with a sweet treat or gift! 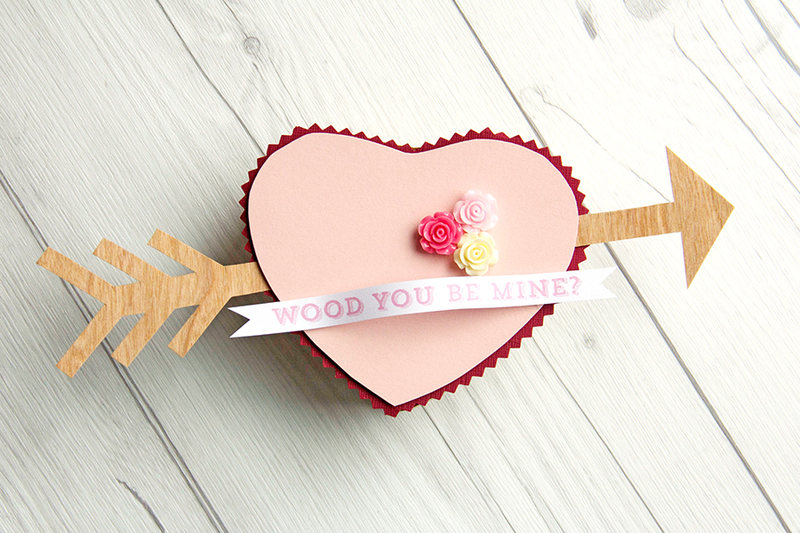 This entry was posted in DIY Projects, Free Downloads and tagged Cherry Wood paper, Valentine, wood box, Wood You Be Mine.